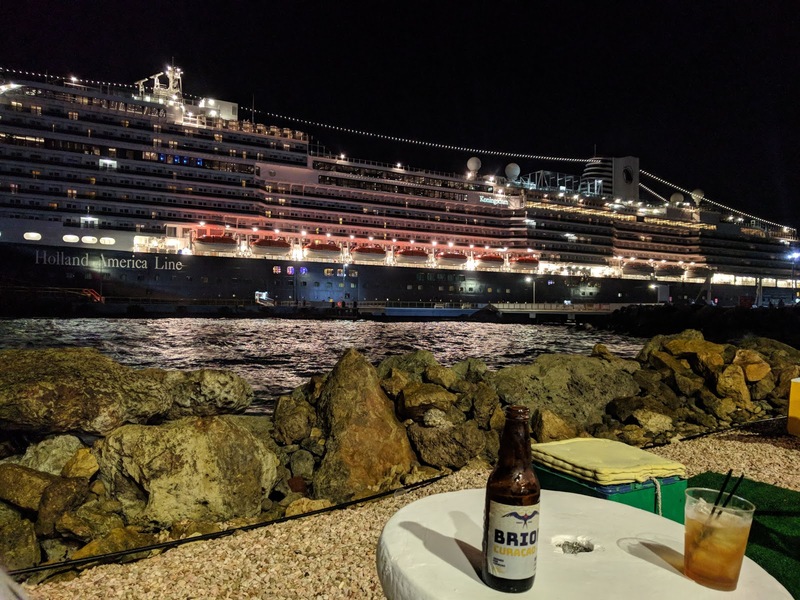 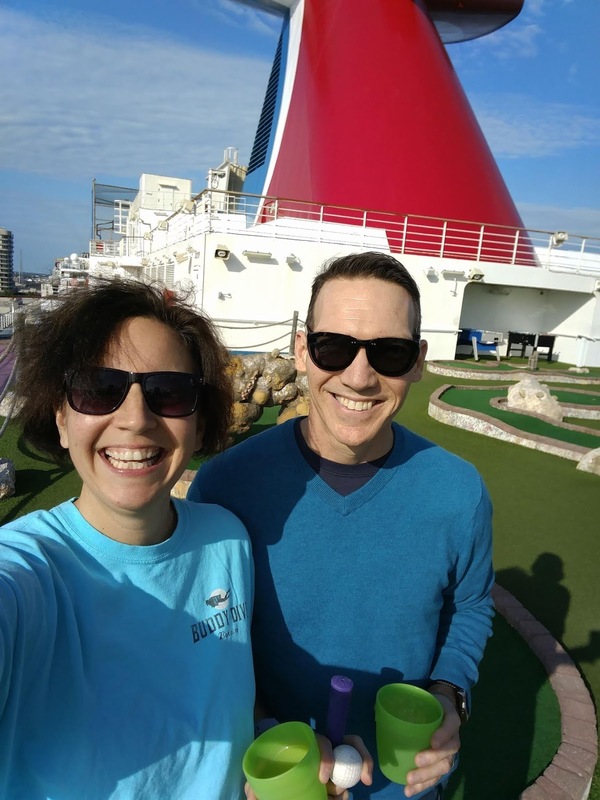 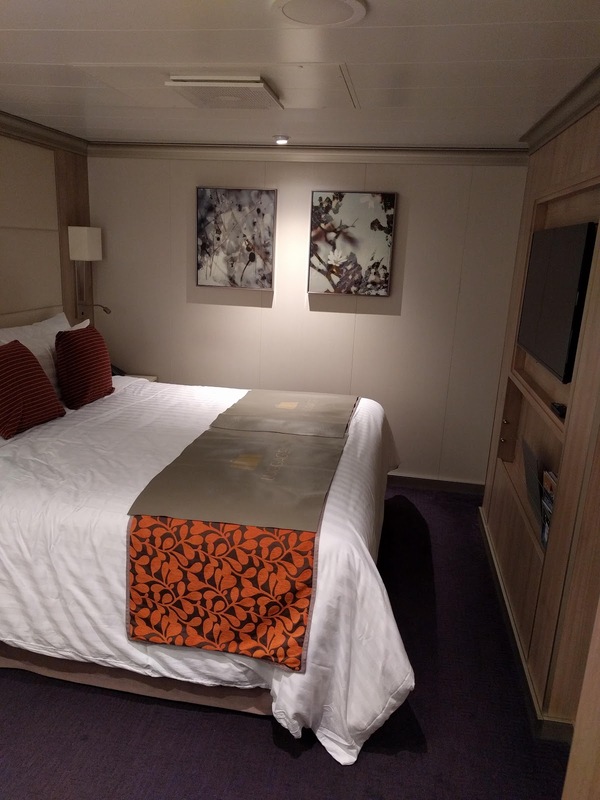 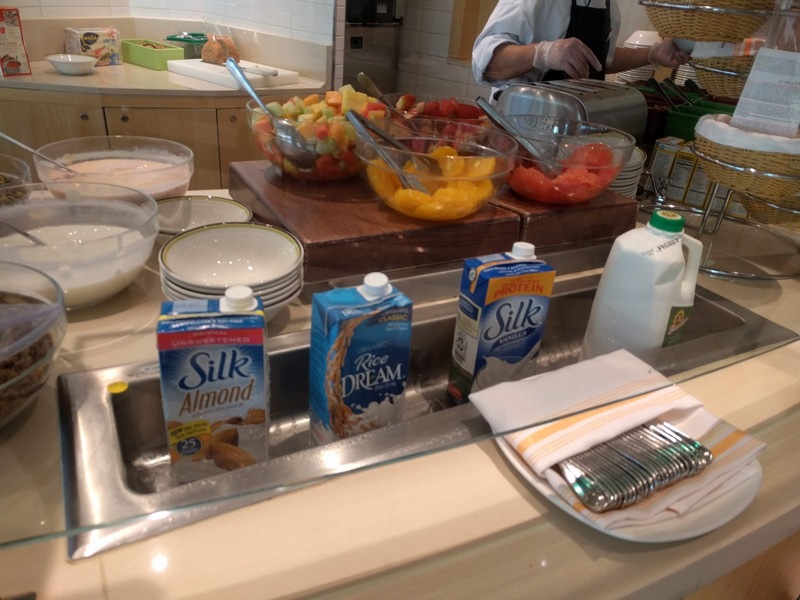 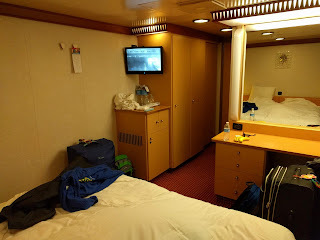 After our terrible experience aboard the Rotterdam in 2017 we had a $1200 credit with Holland America that was about to expire. 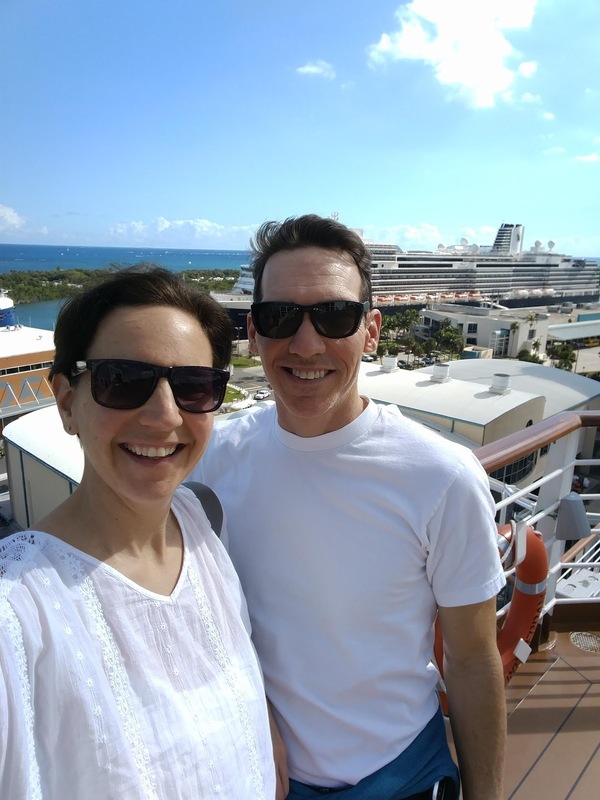 Husband wanted to cruise aboard a new Holland America ship so he booked us for 10 days aboard the Koningsdam leaving from Ft. Lauderdale. 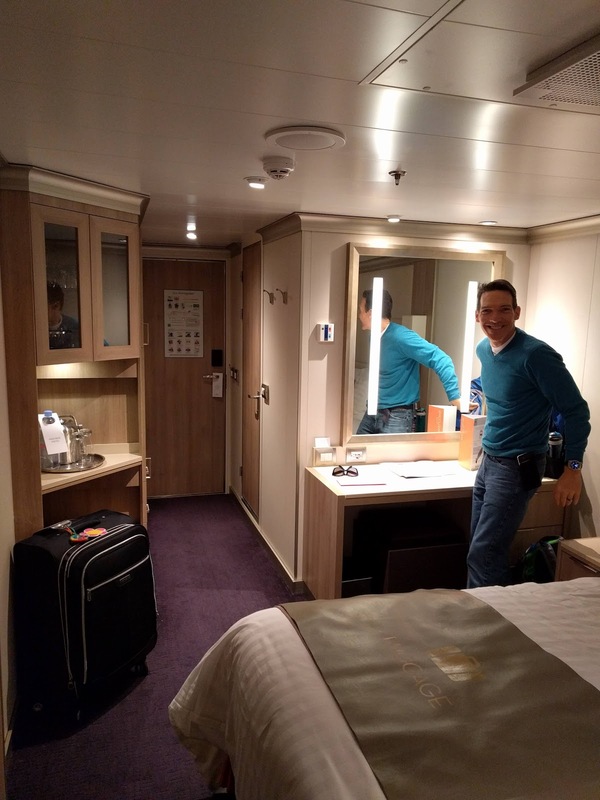 What a nice change to hop aboard a new ship. 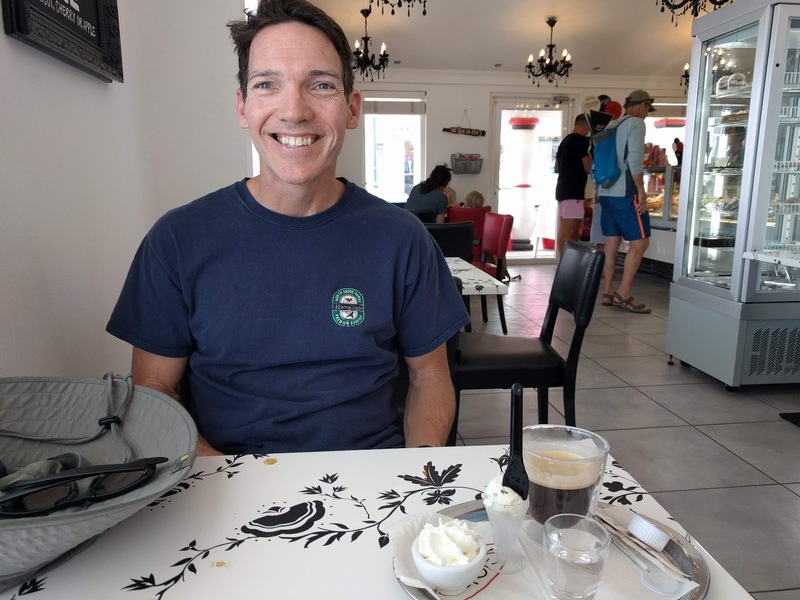 I love coffee and the Dutch Cafe was a great place to to start each day. 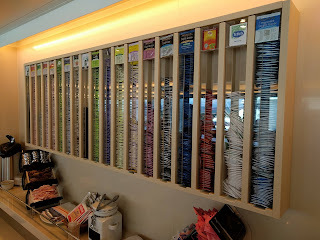 This tea selection in Lido was another favorite spot of mine. 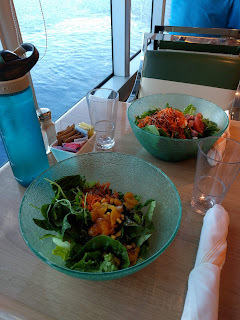 It was easy to make healthy food choices. 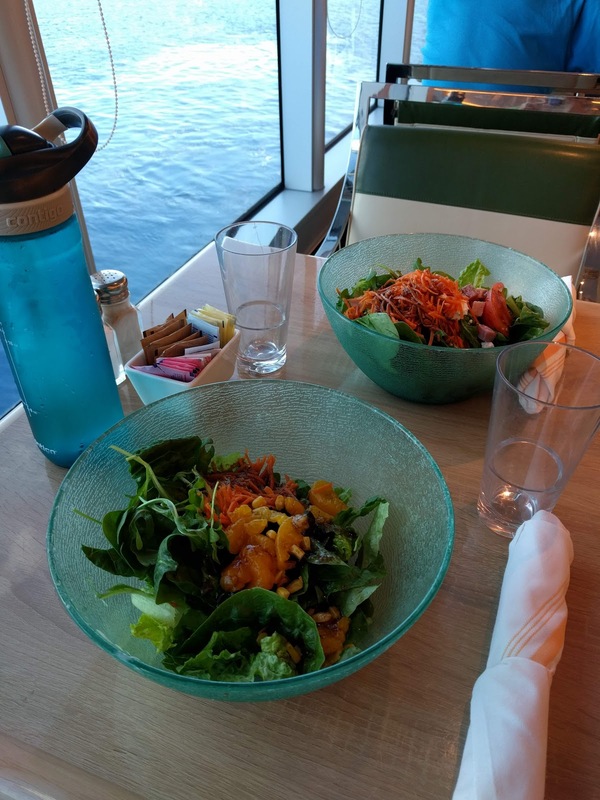 Salads were our go tos for our lunchtimes. They had a gluten free station for my celiac hubby. Right next to that was a station stocked with plant based milks. 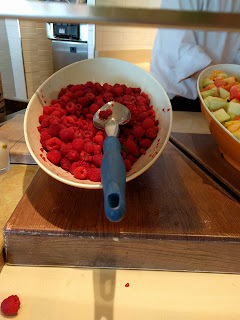 Always lots of fresh fruit options available. 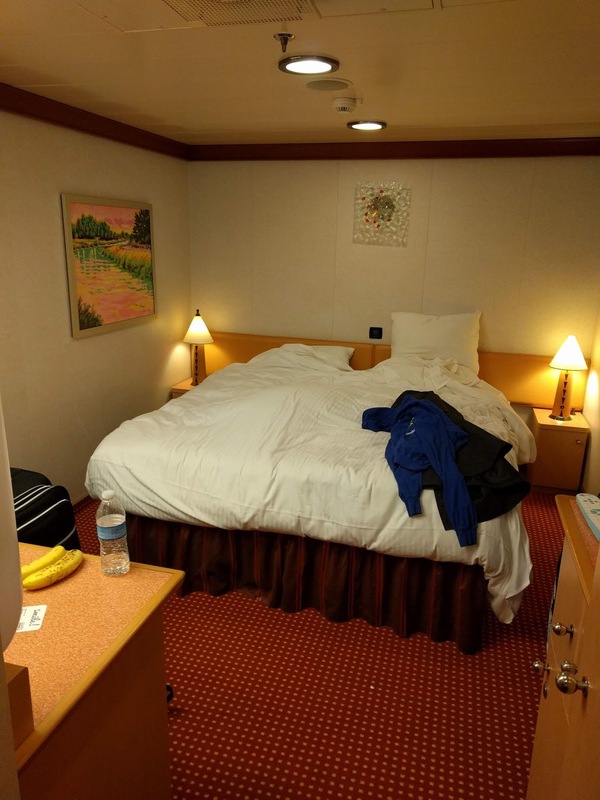 We had an inside cabin in the very back of the ship. 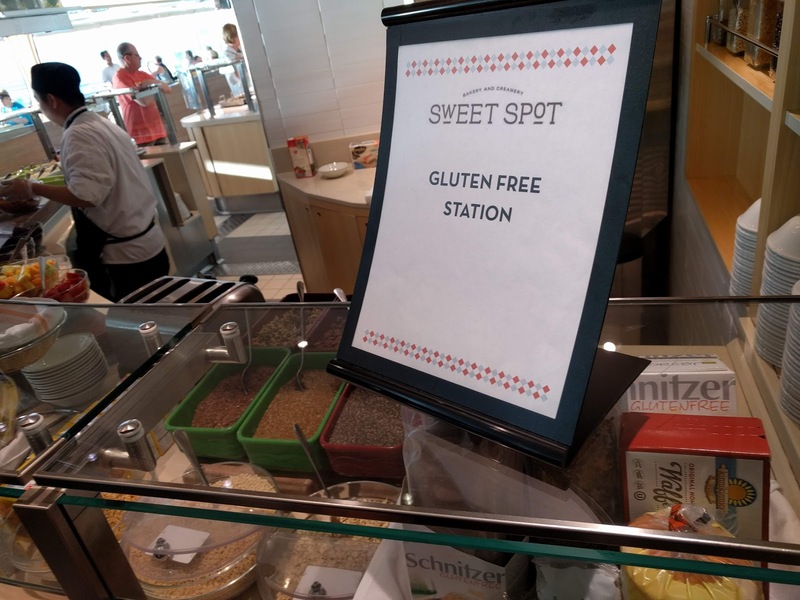 It was a perfect space. 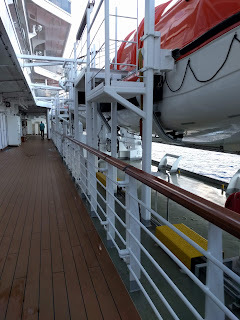 A nice quiet spot and only one floor up from the outside walking deck or to the dining room. This ship has a nice wrap around promenade on deck 3 but the lifeboats block most of the sea view. 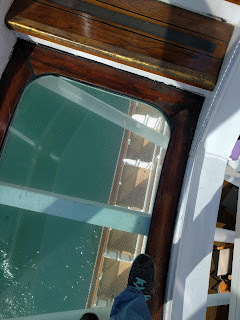 I liked this part of the stairs on the upper deck with a view to the water(and decks) below. 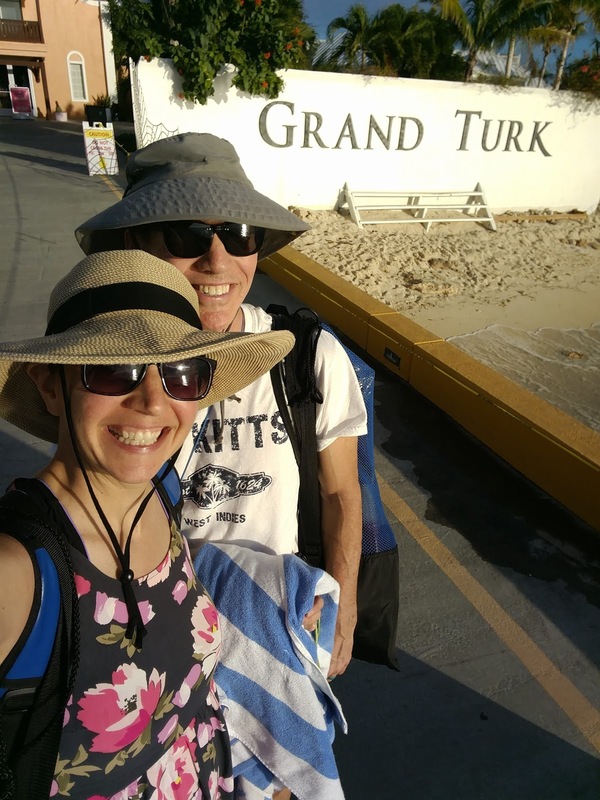 Our first stop, Half Moon Cay. 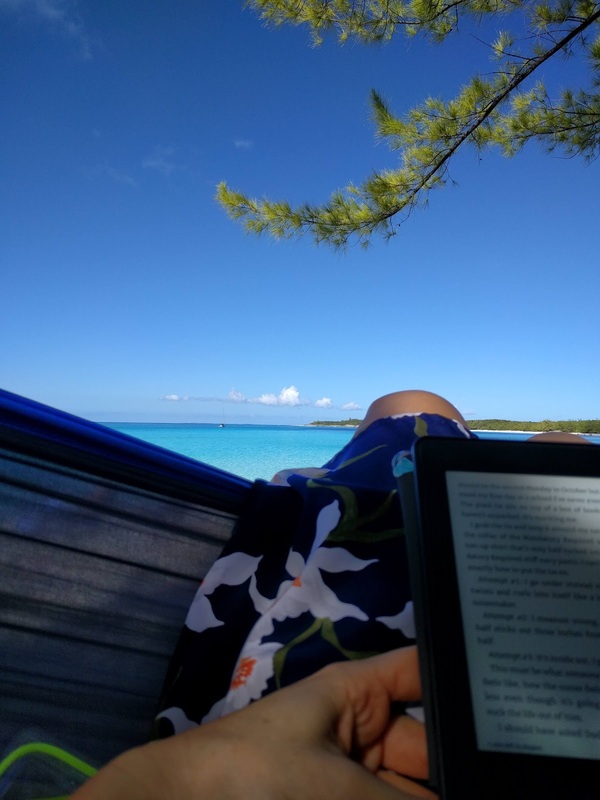 I brought my hammock and spent the day reading and relaxing by the beautiful clear Bahamian water. 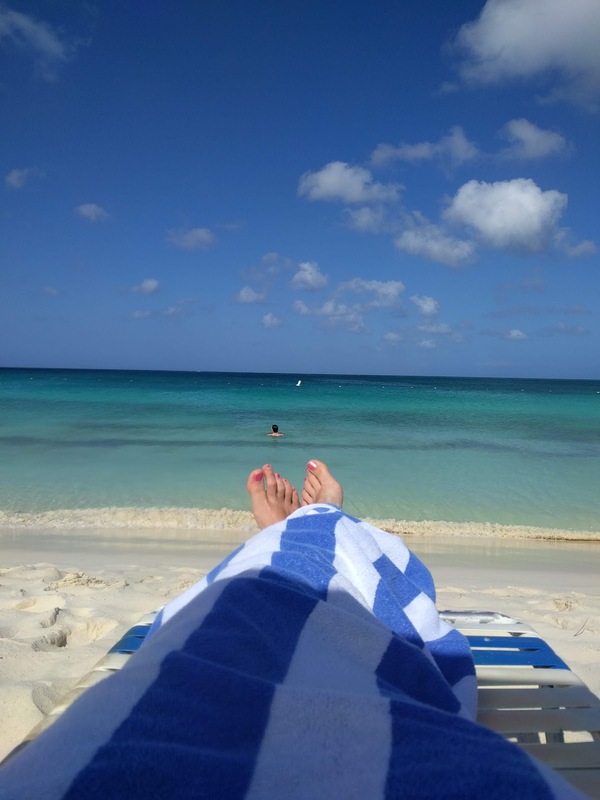 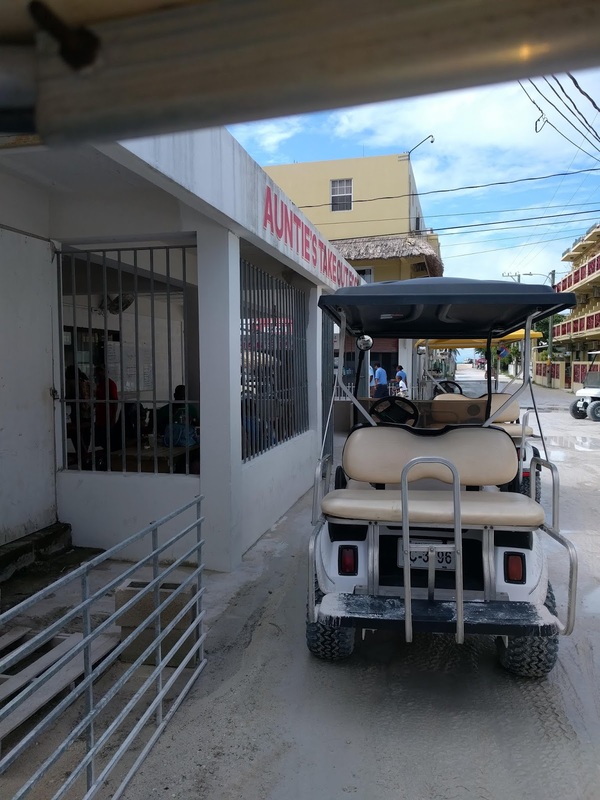 The next day we were in Grand Turk. 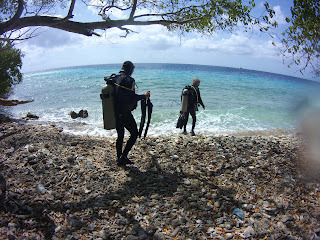 We booked a two tank scuba dive through Holland with Oasis Divers. 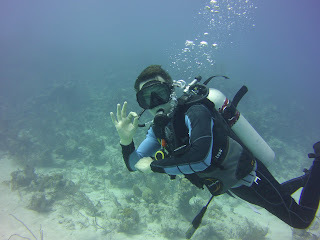 Visibility wasn't the best but husband looked pretty chill 60 feet down! 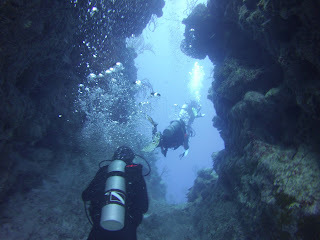 We had a cool "swim through" on our first dive. 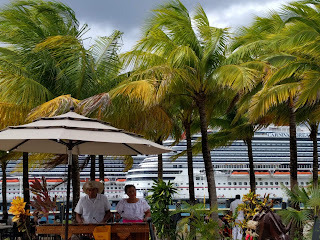 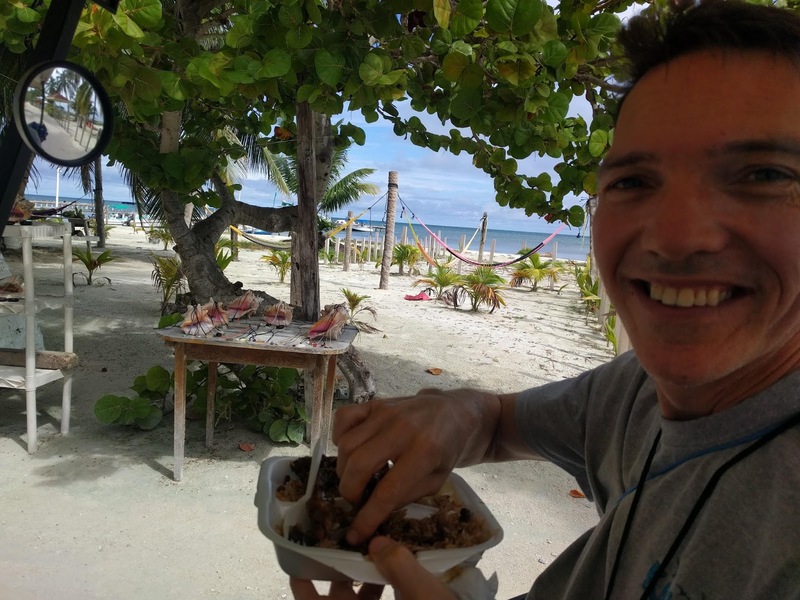 We stopped for a couple of rum runners at the beach bar after our dives and soaked in the caribbean sun before hopping back on board. 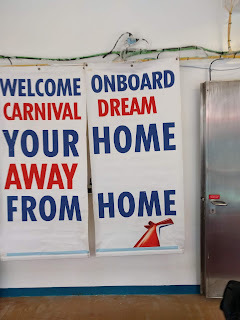 The next day we stopped in the Dominican Republic. Unfortunately I didn't book the tour I wanted to do in advance, waterfalls of Damajagua. They were not available to book once we got to the port. 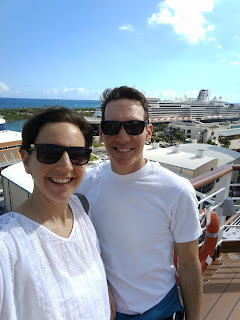 So we hung out all day at the Amber Cove cruise port. 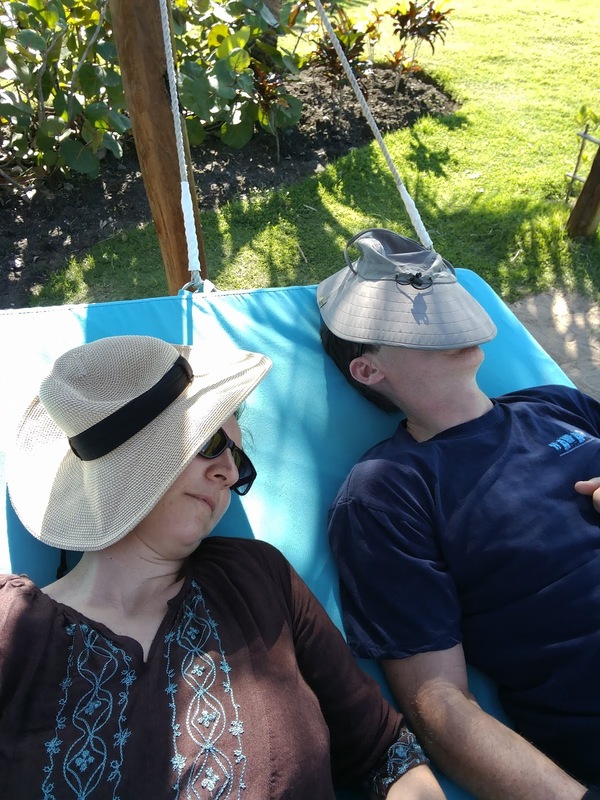 We found a nice spot on a double hammock for a nap in the shade. 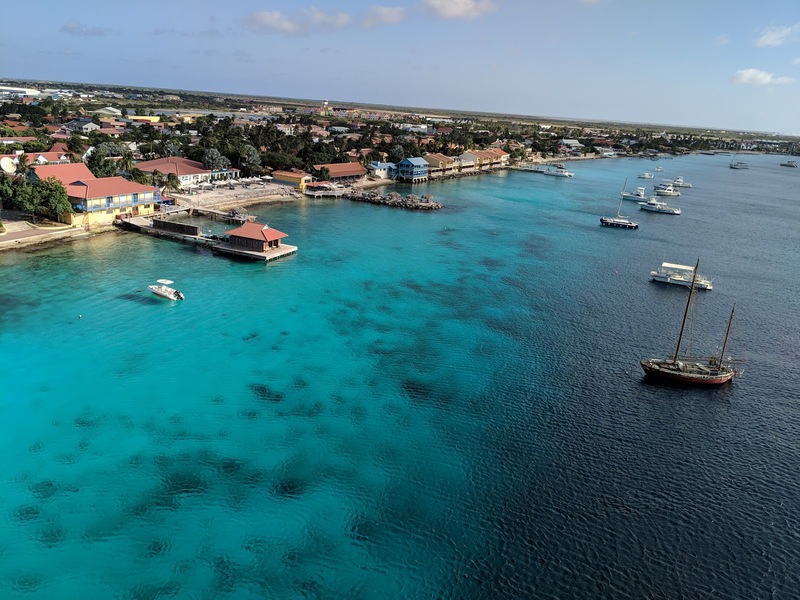 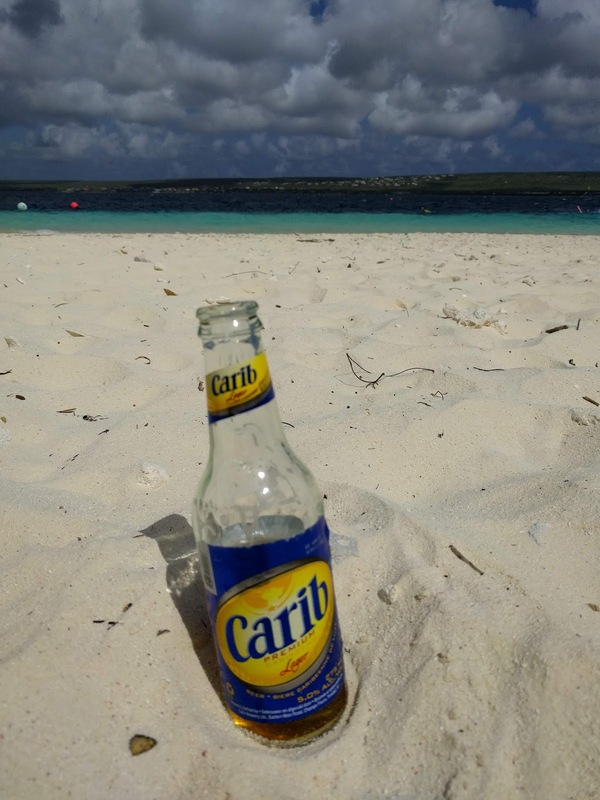 After a day at sea we stopped at our favorite port, Bonaire. 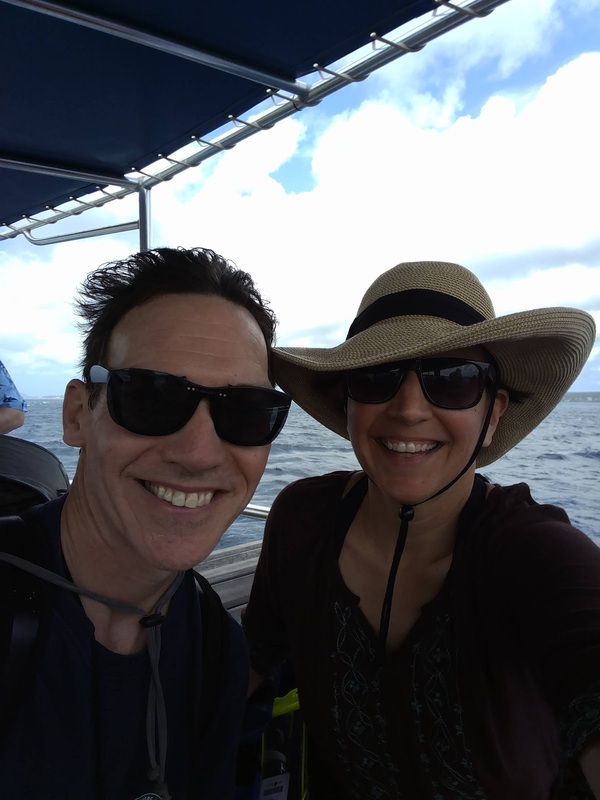 With beautiful water all around we knew we had to go check it out. 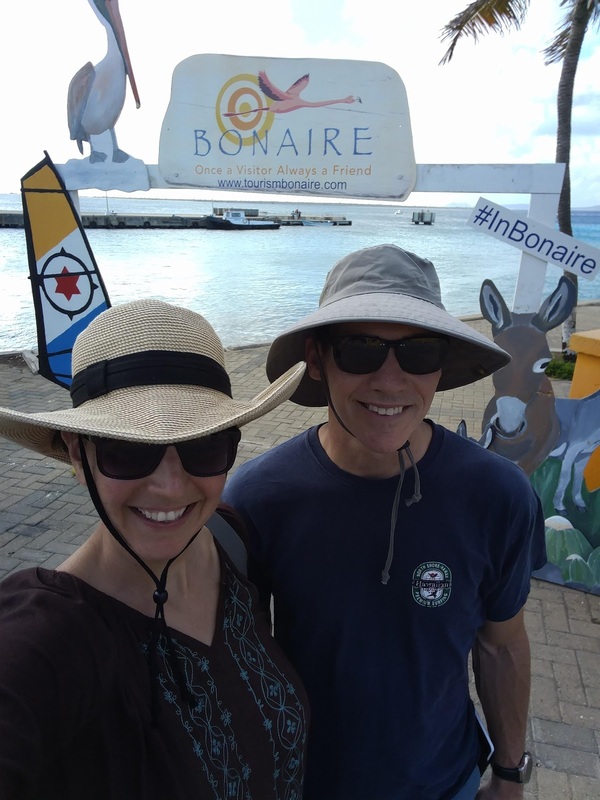 We hopped on a water taxi to spend a few hours on Klein Bonaire. Look at the size of this grouper! I enjoyed a couple of beers at the beach before heading back to town. 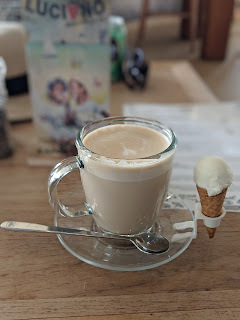 We had to hit up a couple of cafes for some delicious coffees. 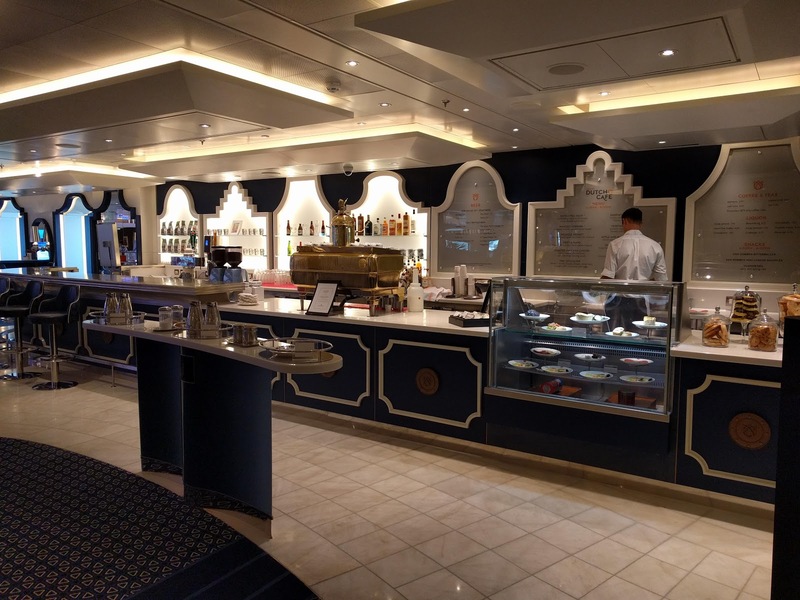 Coffee comes with a side of gelato! The next day we were in Curacao. 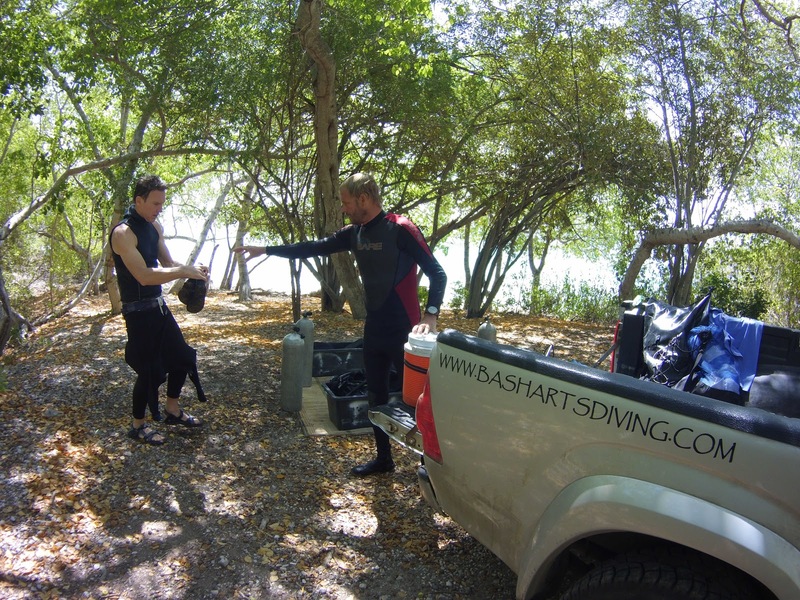 We booked a two tank dive with Bas Harts Diving. 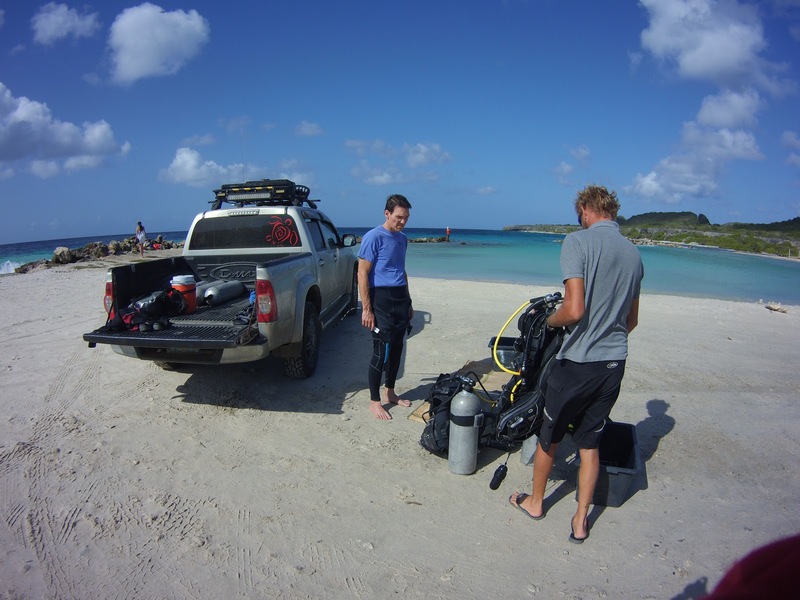 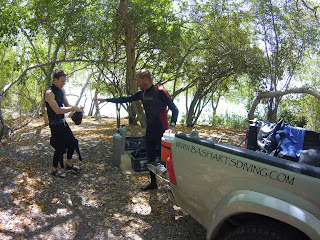 We went to a couple of remote shore diving spots. 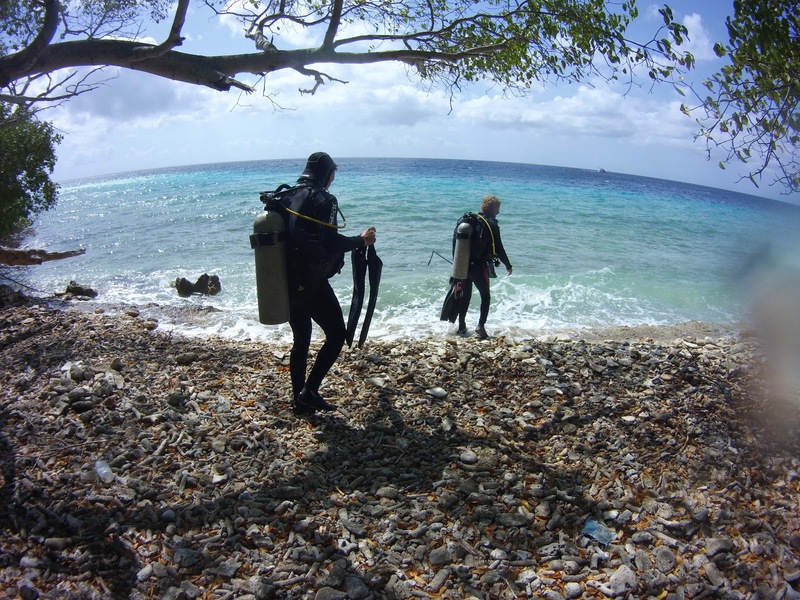 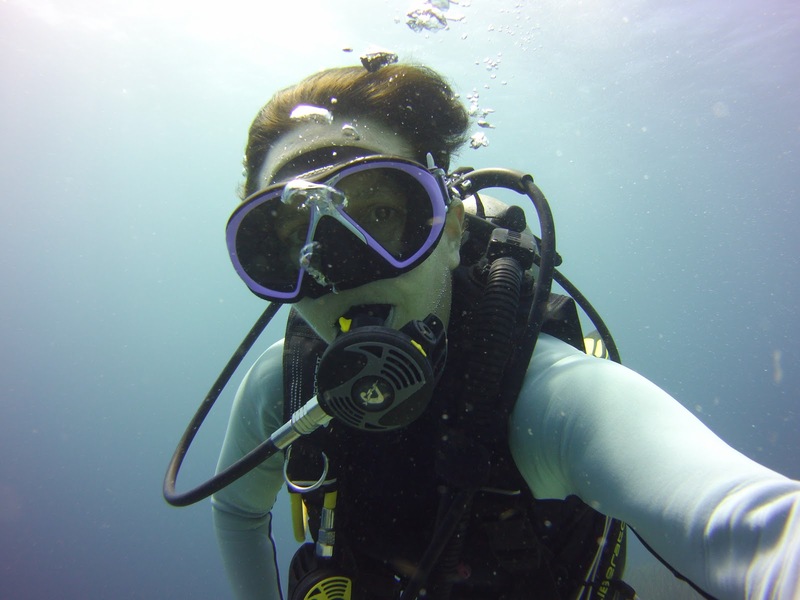 Our first shore diving experience was a bit challenging getting to the water but worth it once we started diving. Visibility was poor due to high surf again but look at all the life on this reef. 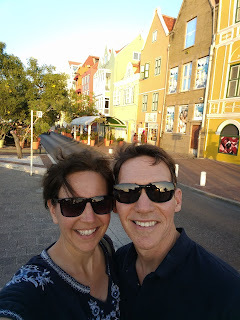 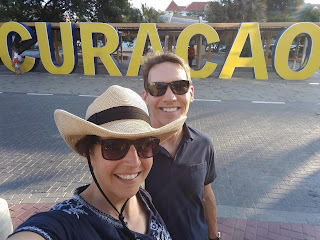 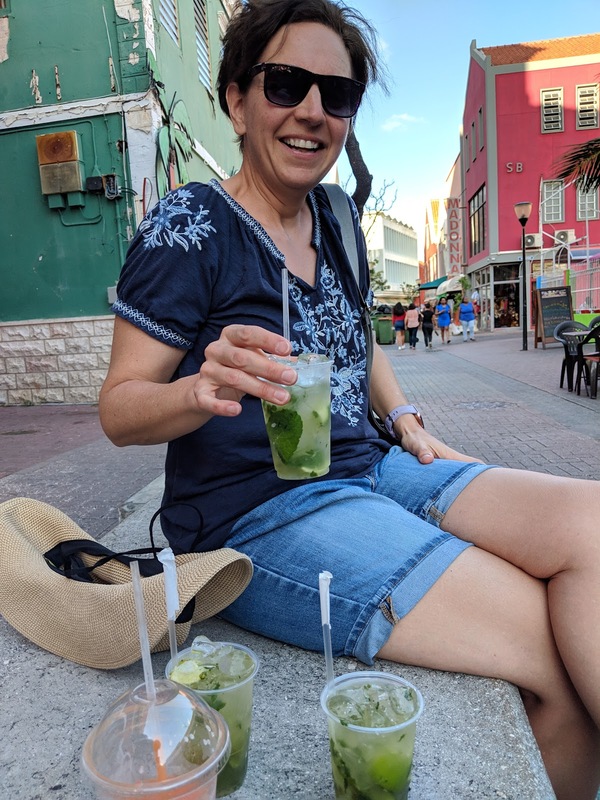 We had a long day in Curacao so we dropped our scuba gear back on the ship and headed out to explore the downtown area. 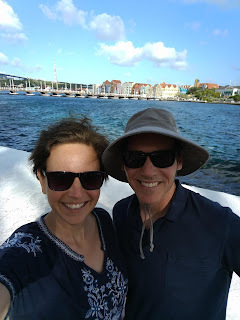 We walked across the Queen Emma Bridge. 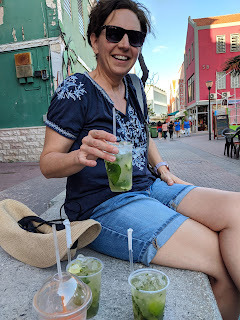 And enjoyed happy hour at a mojito bar. 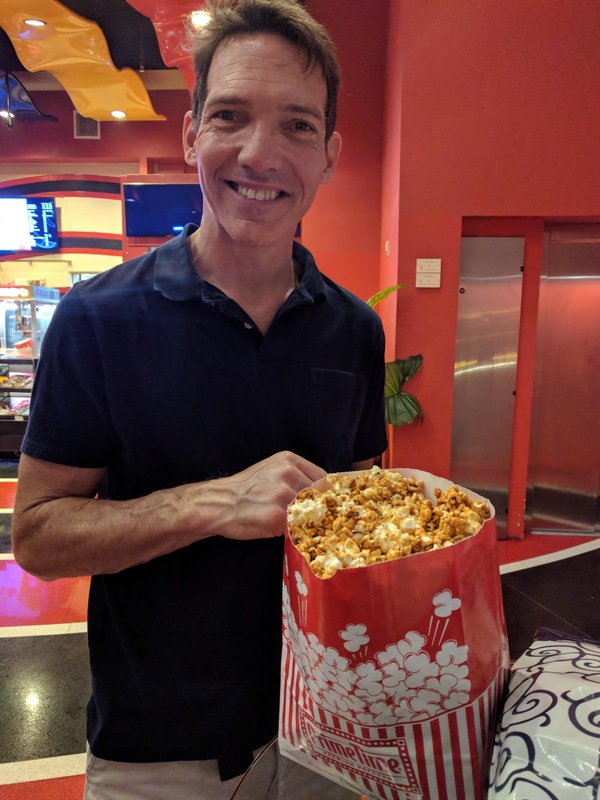 We stopped into a movie theater for delicious caramel popcorn. Later that evening we enjoyed a couple of beverages before getting back on board. 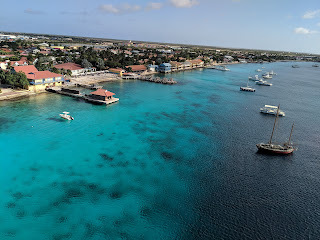 Our last port was beautiful Aruba. We hopped aboard a city bus and headed to Eagle Beach for the day. Heading back to Ft Lauderdale we enjoyed two relaxing sea days. 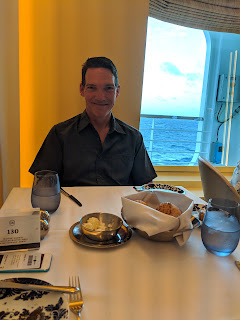 We got dressed up for formal night dinners. 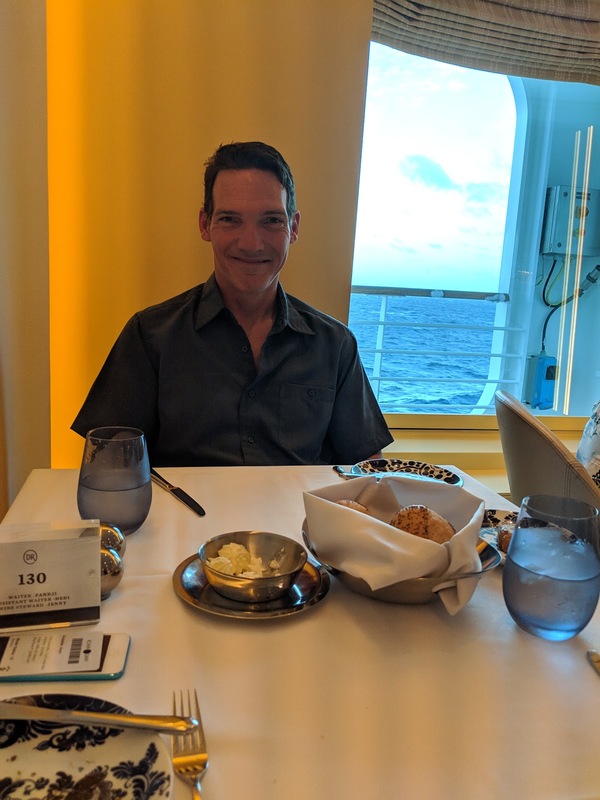 At our table for two by the window in the main dining room. 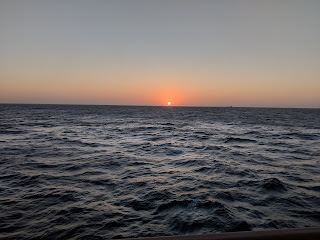 And enjoyed sunsets on the sea. We are celebrating our 25th anniversary in a couple of months. I feel lucky to have found my person and can't wait for more traveling adventures together! 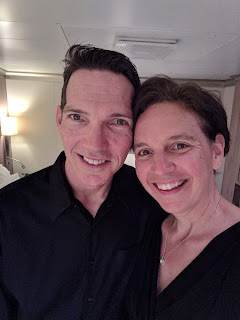 I met my husband when he was 21 years old. 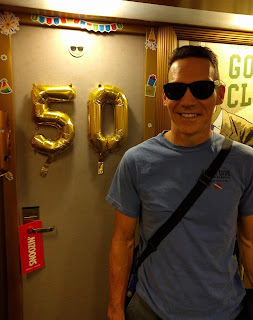 This year he turned 50! You can't spend a milestone birthday doing the same old routine. 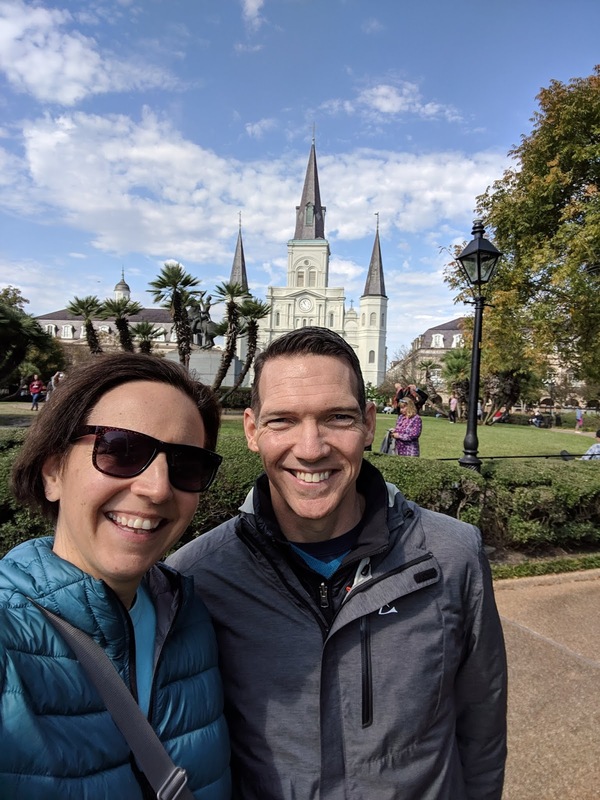 So we booked a cruise and drove to New Orleans to celebrate. 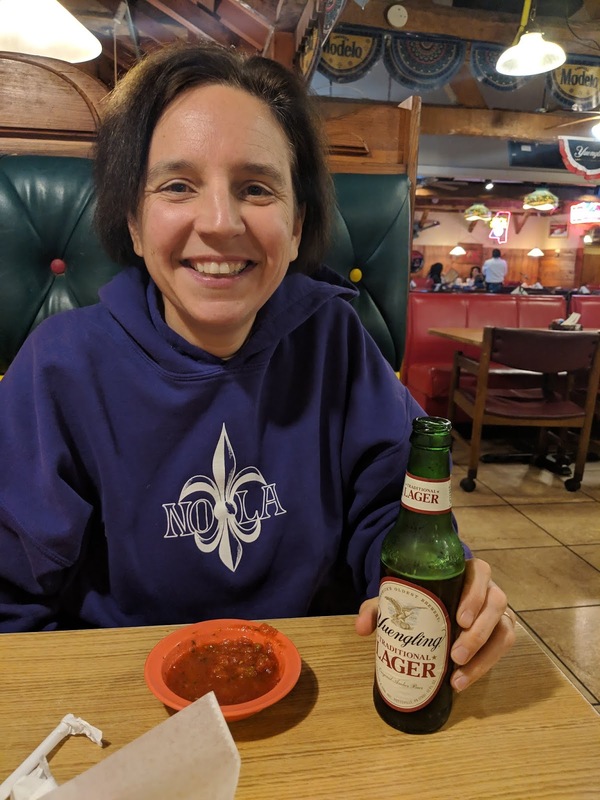 At a dinner stop in Canton,Mississippi I enjoyed one of my favorite beers. 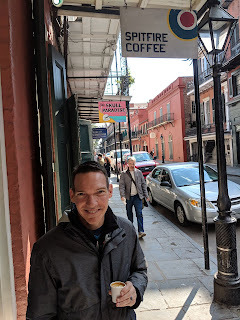 The next morning we spent a couple of hours in the French quarter. 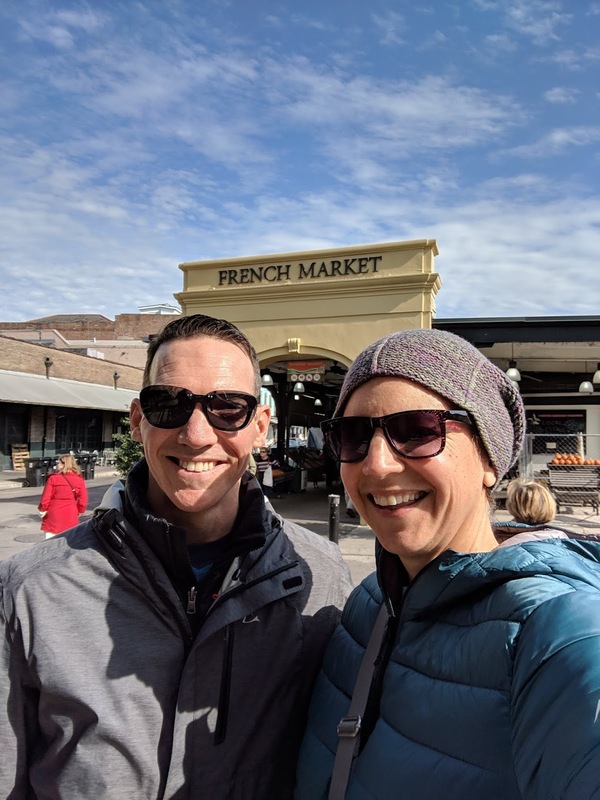 Stopping by the French Market. 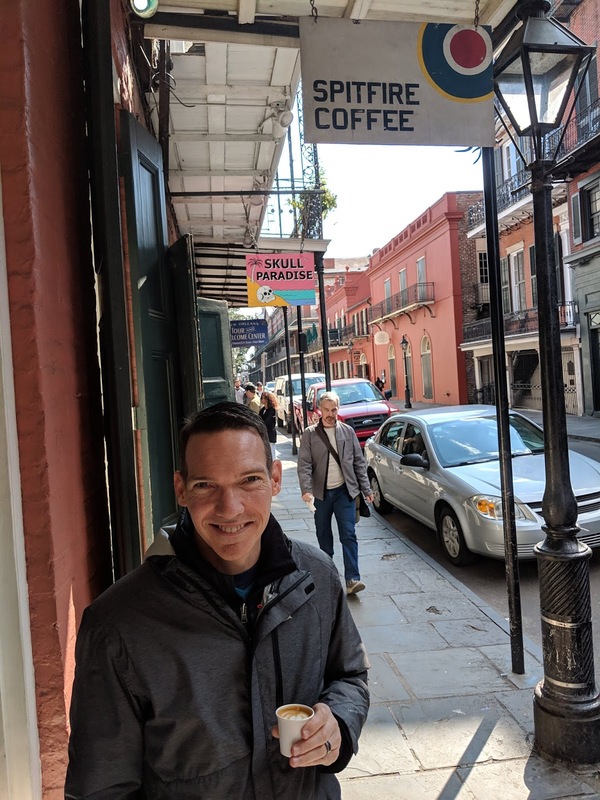 Strolled over to Bourbon St for coffee. 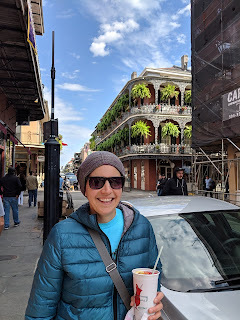 I stopped in to Pat O'Brien's to grab a hurricane in a go cup. We strolled past Jackson square to check out the artists setting up for the day. 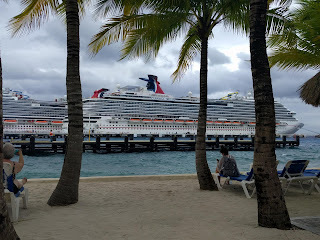 Then it was time to head over to the port to board the Carnival Dream. Our first stop was dropping our backpacks in our room. 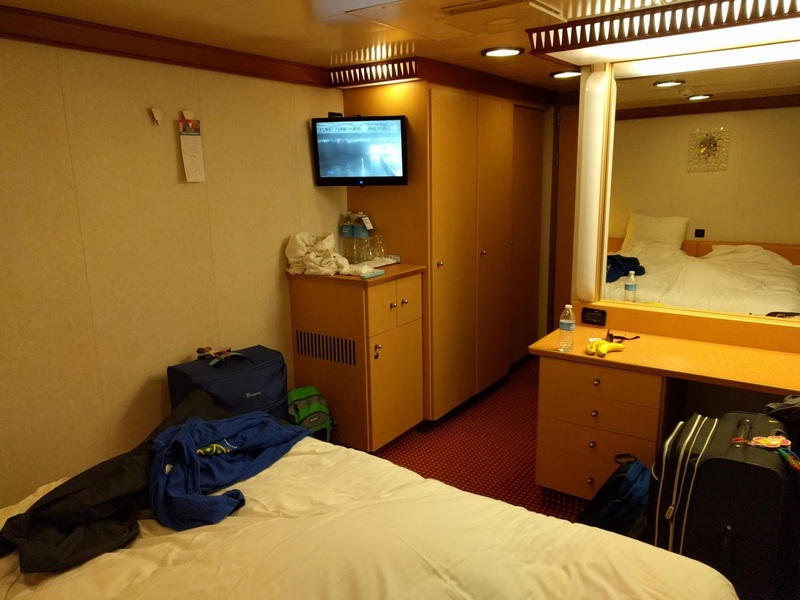 An inside room is small but has plenty of space for two people and their stuff for a week's long cruise. We headed to the top deck for a round of mini golf while people were busy eating at Lido. 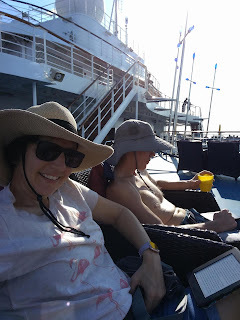 The next day at sea we lounged around and read for hours in the warm caribbean air. 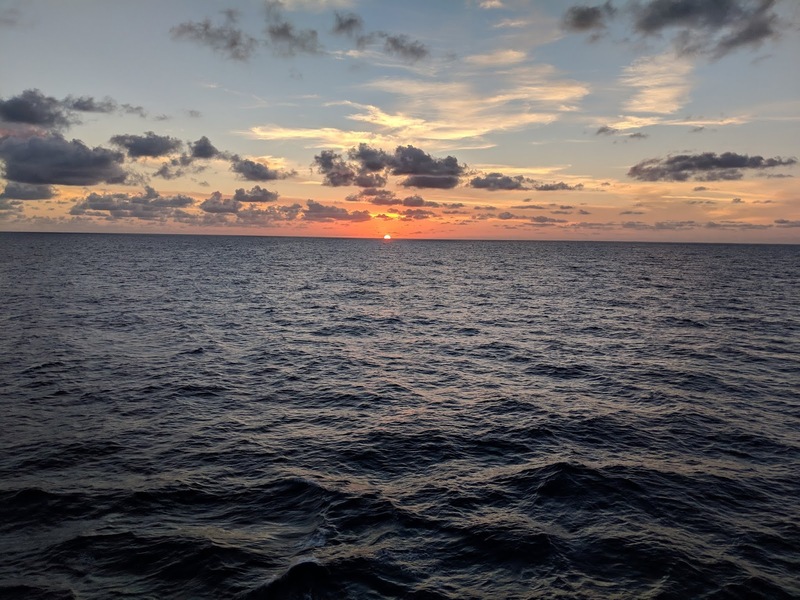 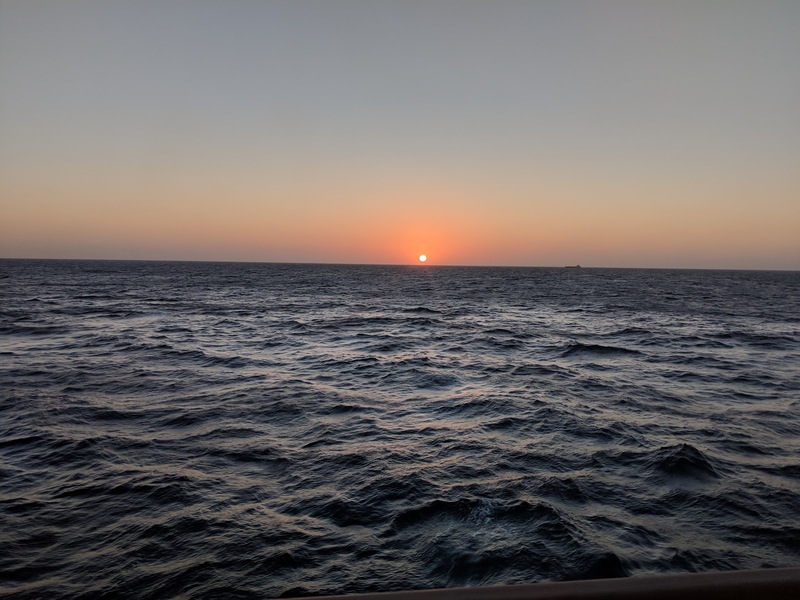 We took in a beautiful sunset at sea. 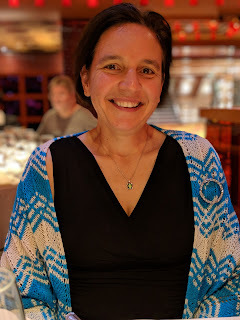 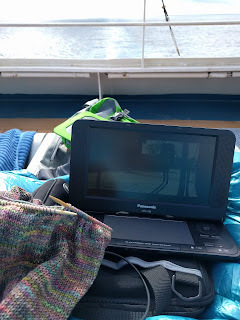 Our first formal night was on our first sea day and I was able to wear my newly knitted shawl. The next day was THE birthday day! 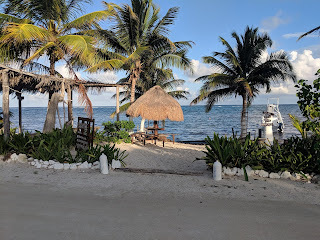 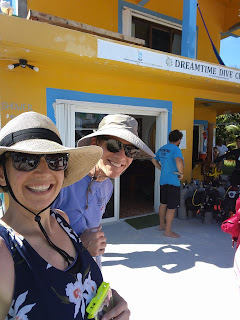 We booked a two tank dive through Carnival for our day in Mahahual Mexico. As soon as we were in the water we knew it was going to be a challenging dive due to the rough conditions of the sea. 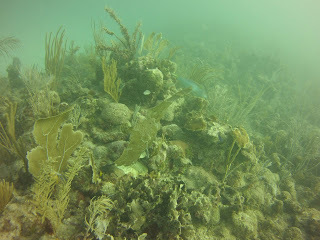 Underwater the visibility was very poor. 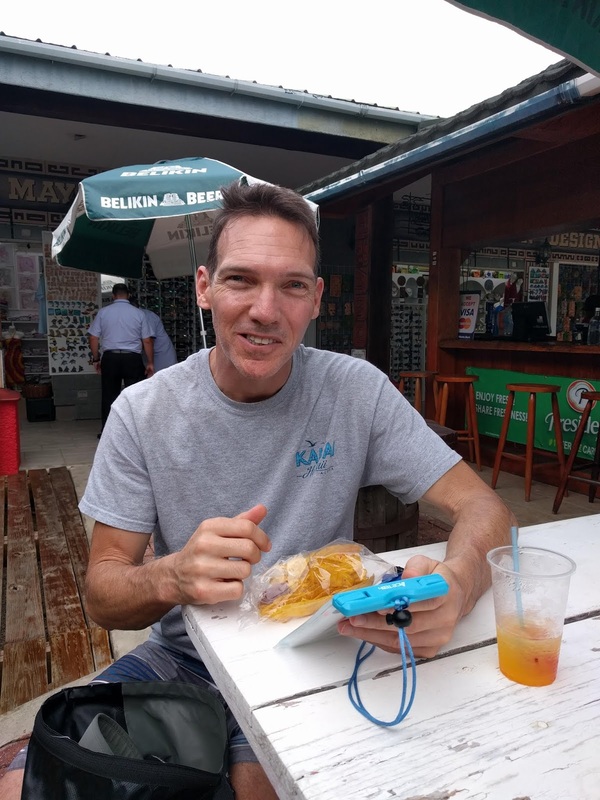 So we chose to call it a day after our first dive and spent the time relaxing shoreside while the rest of our dive group went back out for their second dive. 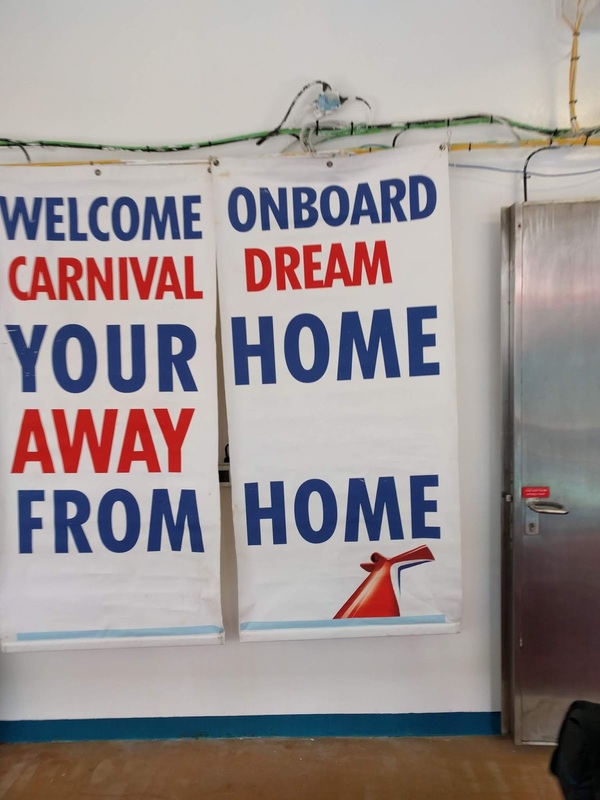 Carnival does a pretty good job trying to accommodate special diets. Husband was able to order a slice of gluten free cheesecake. 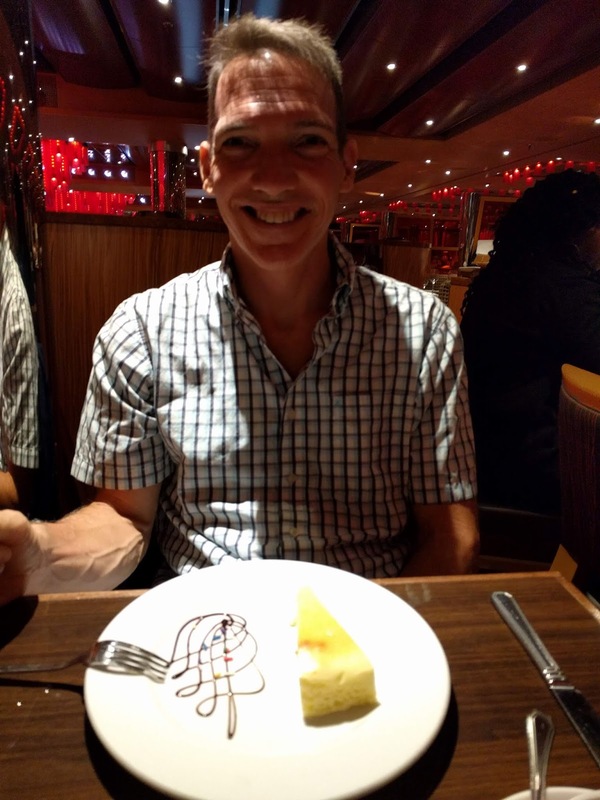 They also sang him Happy Birthday and presented him with a small cake. 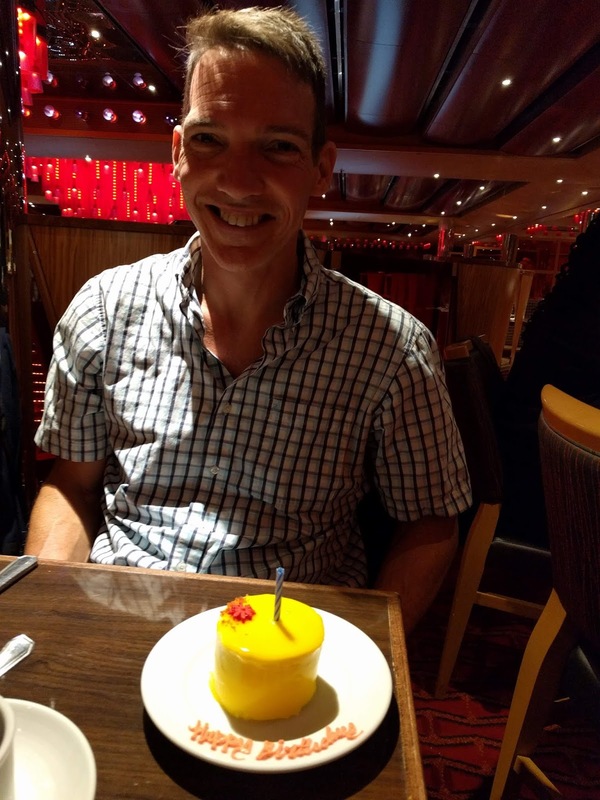 But took it away after he blew out the candle because it wasn't gluten free. 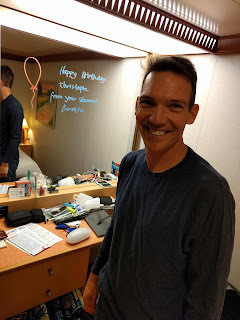 Even our room steward wrote a birthday message on our room mirror. 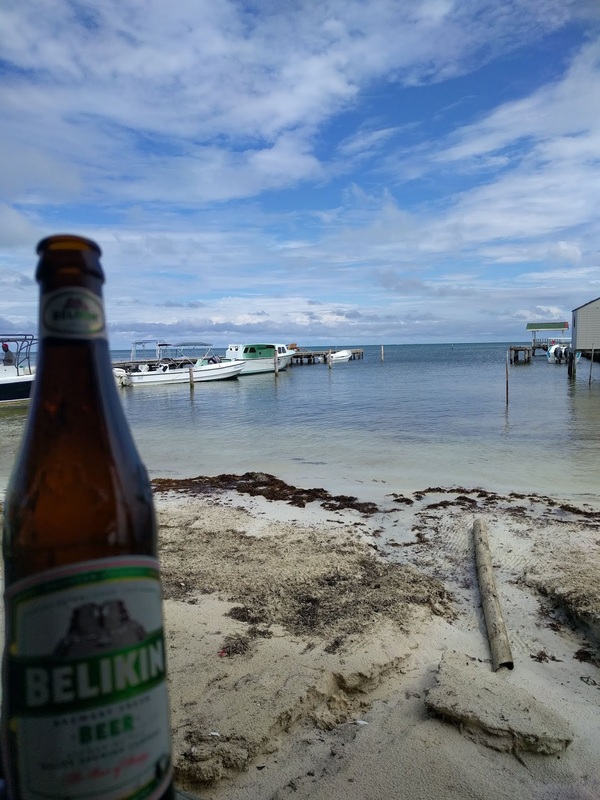 The next day we were in Belize. 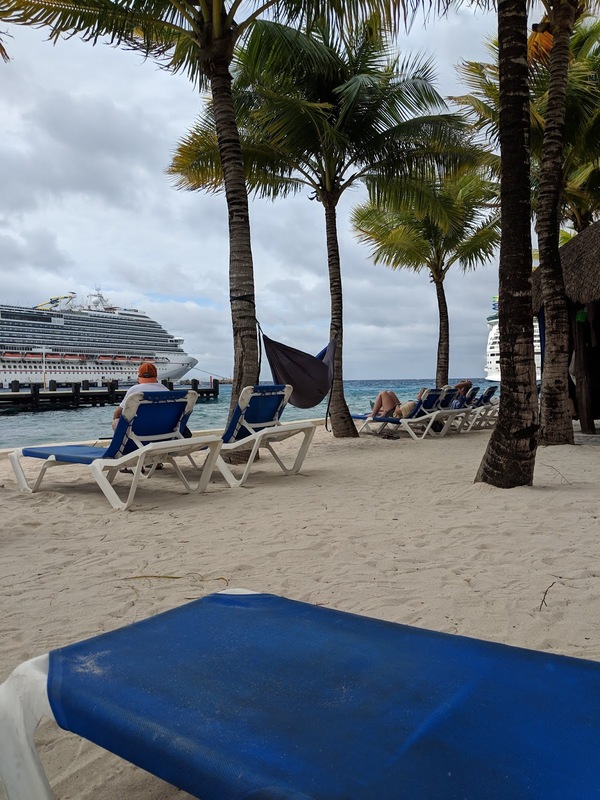 Not the best weather on this day. 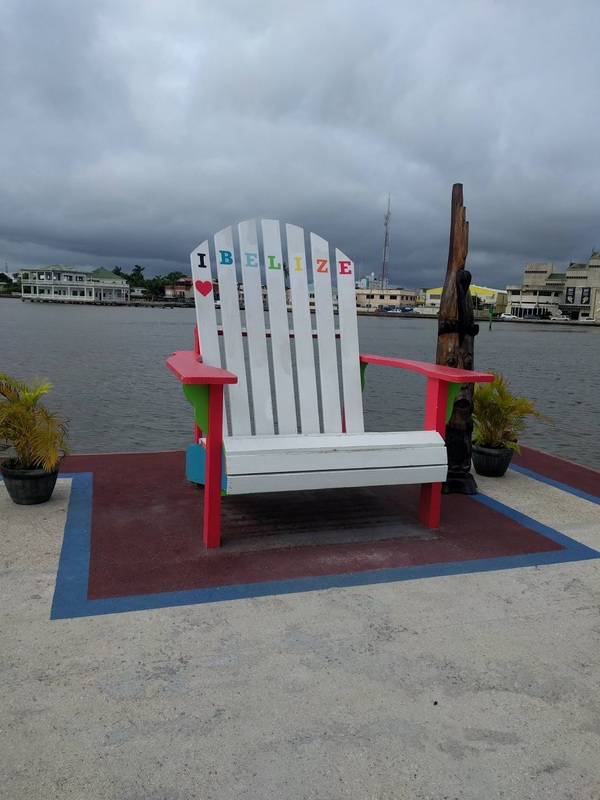 Rainy but warm temps. 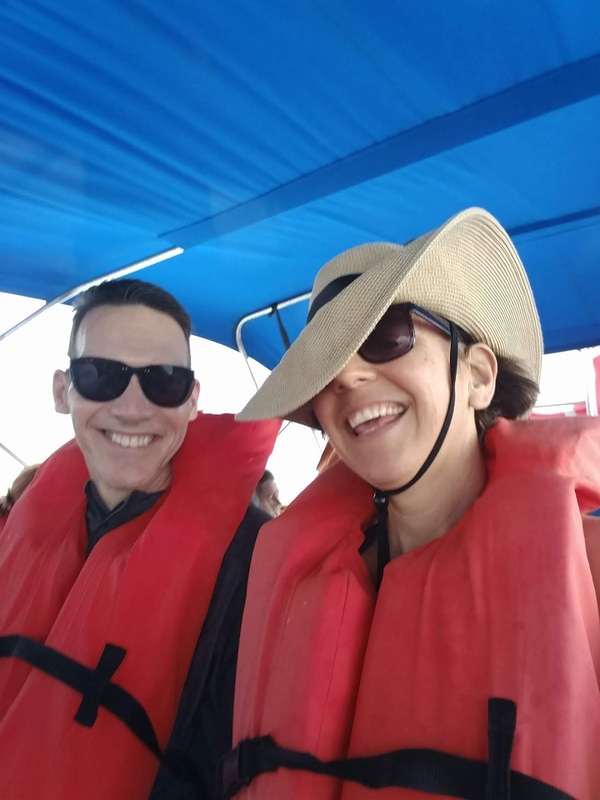 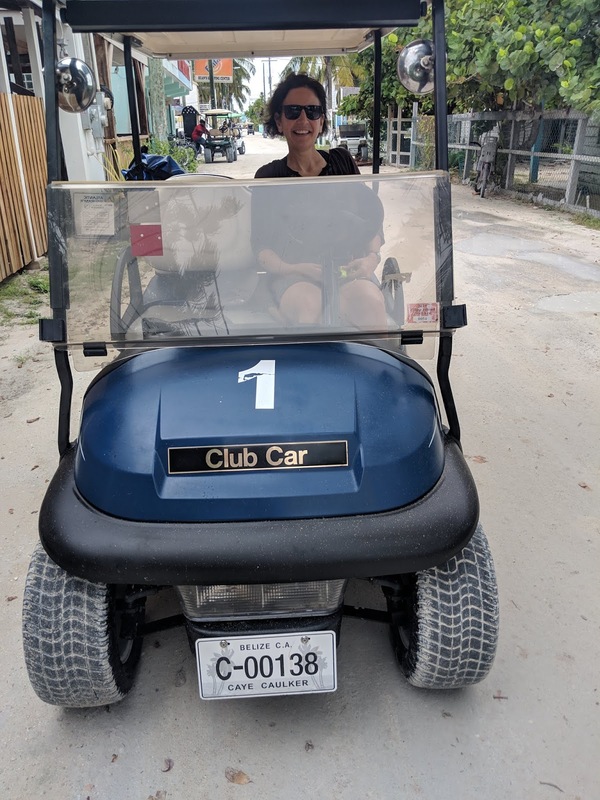 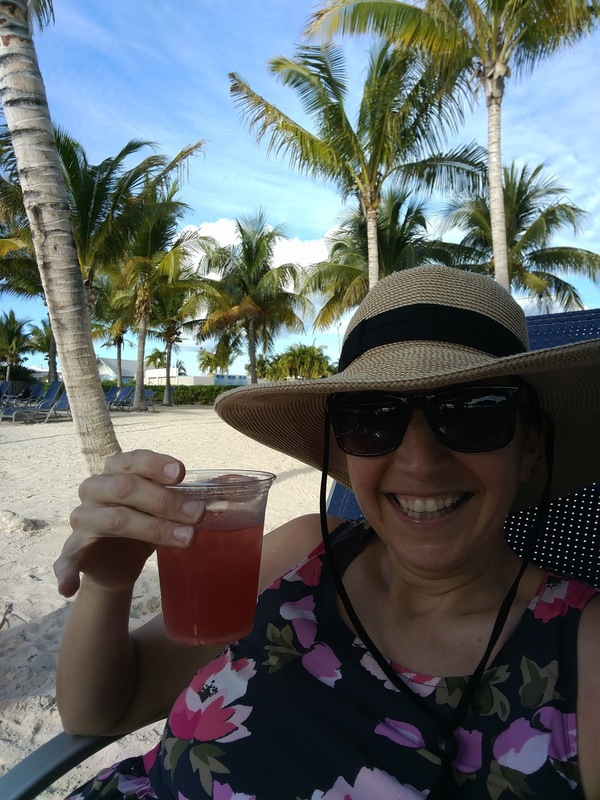 We booked through Carnival to go to Caye Caulker. 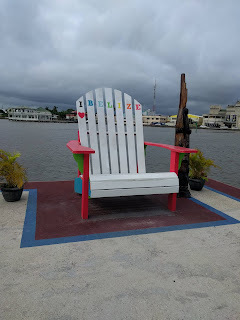 About an hour boat ride away from Belize City. 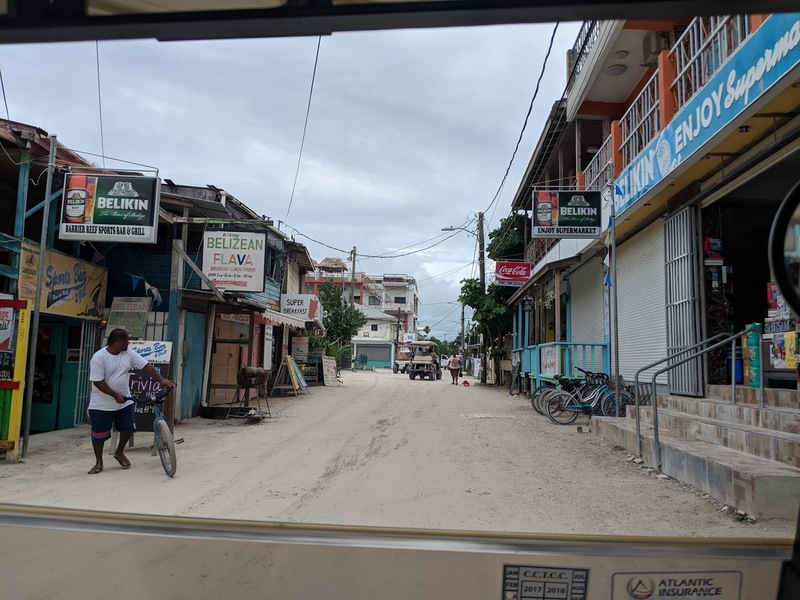 We drove almost every street here as it's a very small place with no cars and only sand paths for streets. 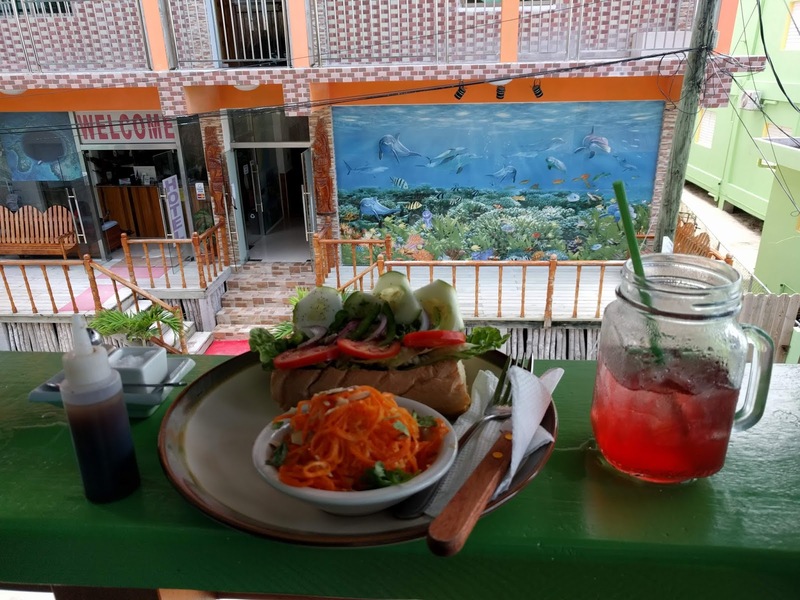 We found a really nice veggie friendly cafe called Namaste Cafe with fresh Kombucha and I enjoyed a delicious vegan lunch. Of course I enjoyed several Belikin Beers this day too. Husband was searching for a small spot called Miss Alma's Belizean Home Cooking. In the picture below it's the red boarded up shack. By the time we made it back to the spot she had sold out of chicken for the day. 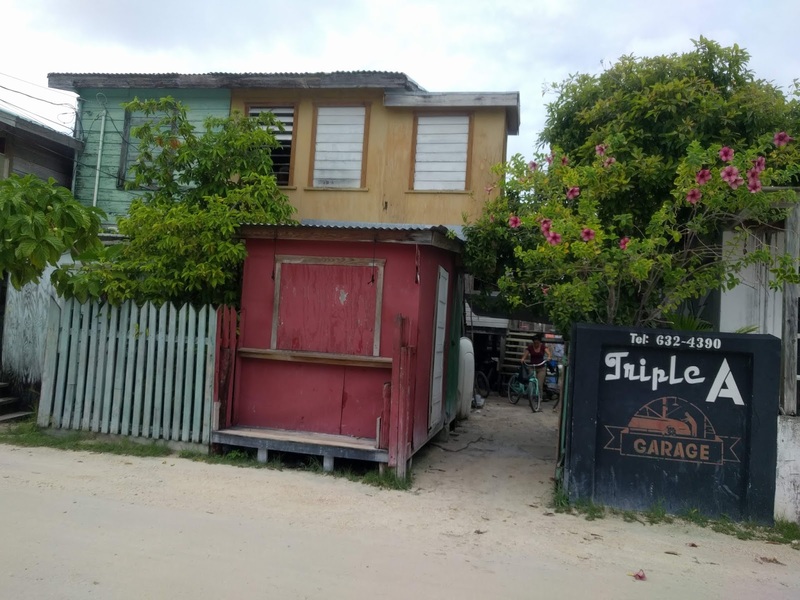 She recommended he stop at Aunties take out for chicken, rice and peas. 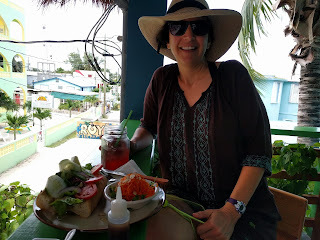 Back in Belize City we enjoyed a couple of rum punches and some freshly made plantain chips. 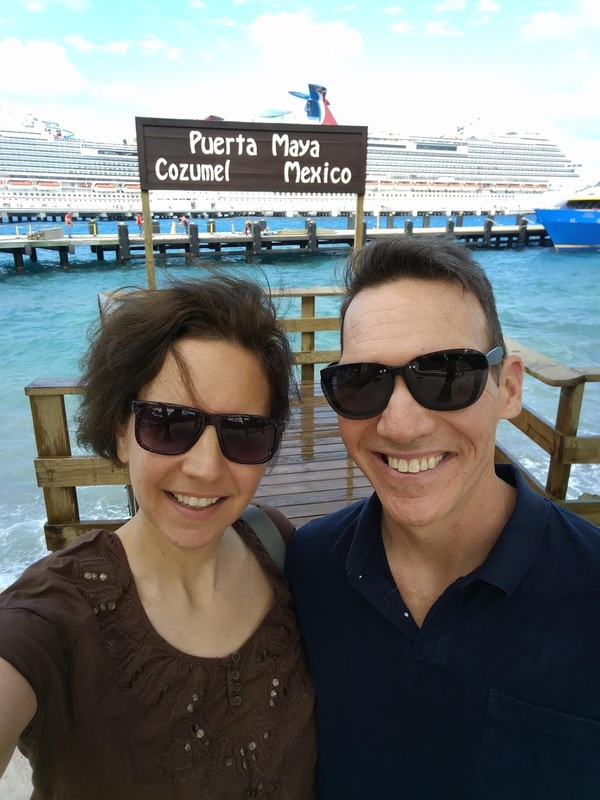 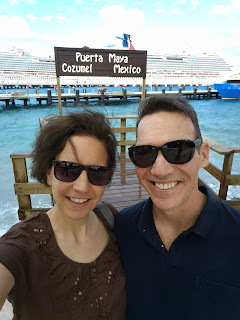 Our next stop was Cozumel. 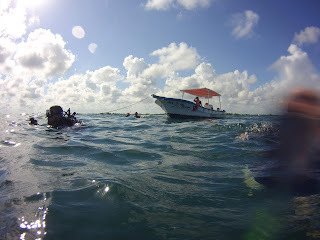 Unfortunately the scuba dives we booked through Carnival were cancelled due to an ocean swell that made conditions too hazardous. So we spent the day at the cruise pier. 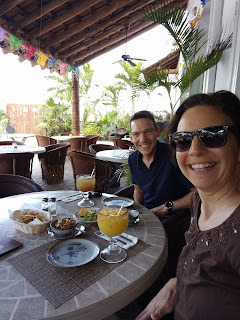 We found a great spot called Panchos and enjoyed excellent tamarind and mango margaritas, guacamole, chips and salsa. With a beautiful palm tree view. 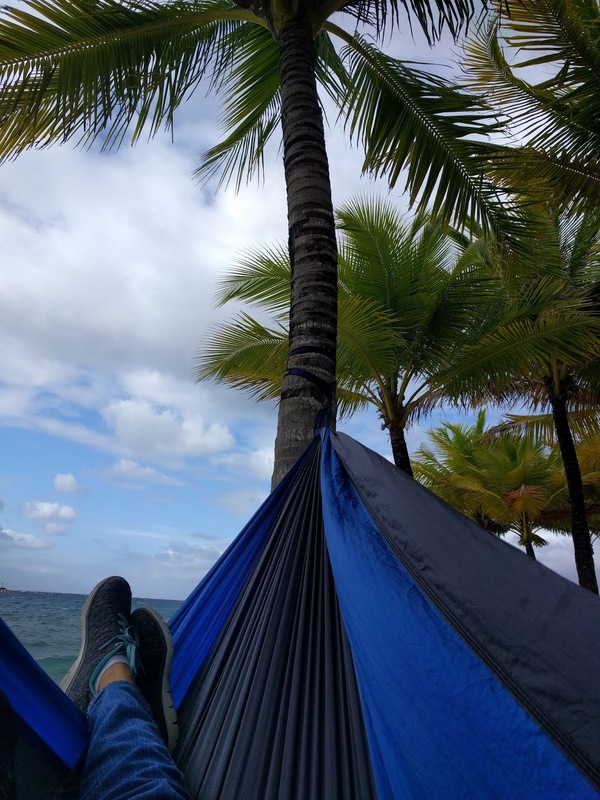 We were strolling sea side and I noticed these two palm trees close to the water that would be perfect for hammocking. 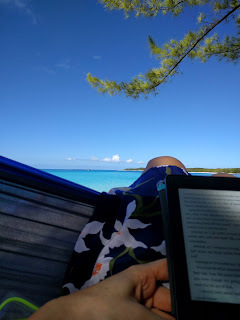 I headed back to the ship for my hammock and set up for a few hours of napping and reading. Listening to the sounds of the surf was a wonderful way to spend our last port day. 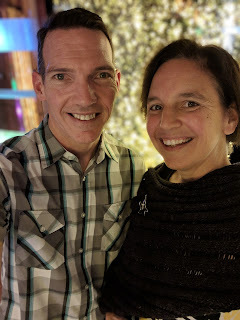 We enjoyed our last formal night later in the evening with another chance for me to wear a new shawl. 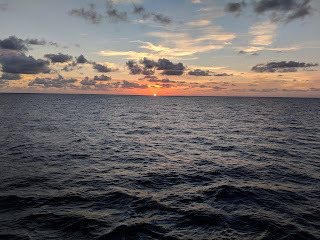 Another day at sea for the next day. 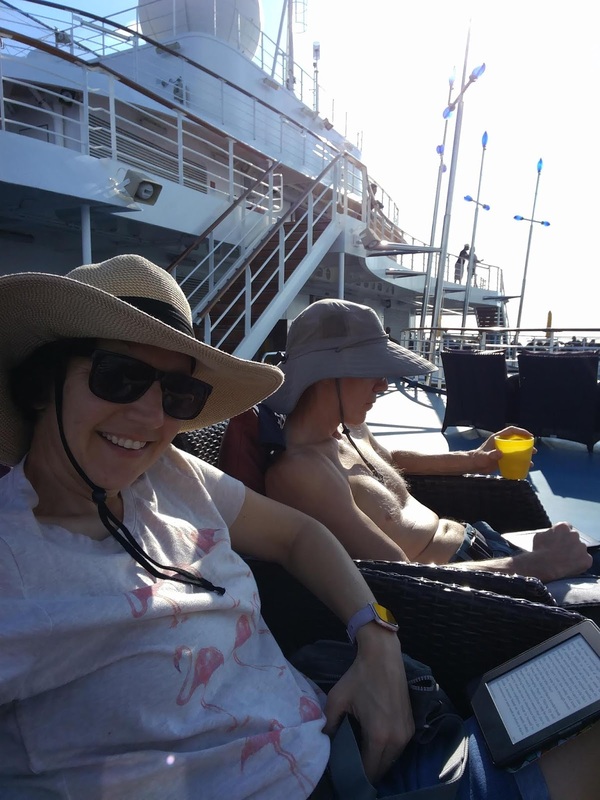 We camped out on lounge chairs on the back deck. I knit and watched DVDs and enjoyed one final day of summer-like weather. 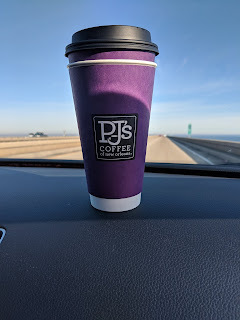 Back in New Orleans I made a quick coffee stop at PJ's before heading across Lake Pontchartrain and our long 14 hour drive back to Northern Illinois.